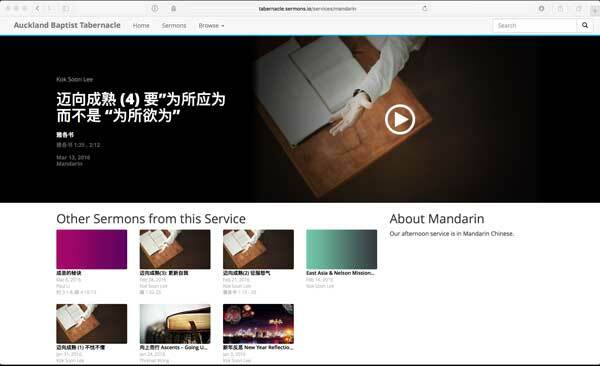 We'll import your sermons from your current site for you. All of them. Yes, really. 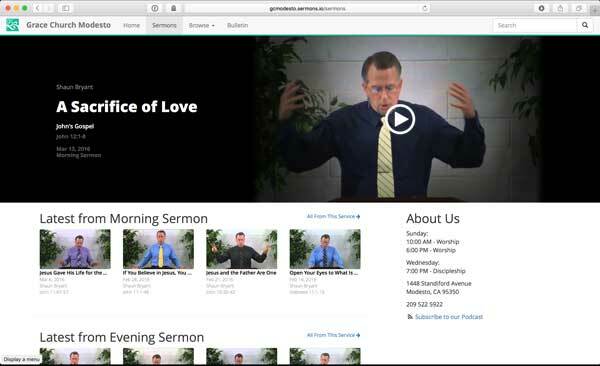 Getting your new sermons uploaded couldn't be easier. The power of God's word, amplified around the world through technology. If you have an existing Sermon library in digital form we will work with you to import those sermons into your Sermons.io account. 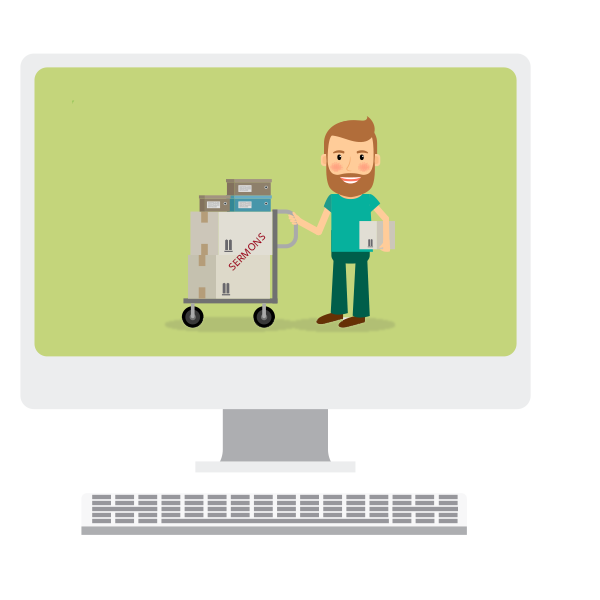 In many cases we can automate the entire process for you, filling your library from day one. Uploading a new sermon file is a 1-step process. Just upload your raw .wav file and leave the rest to us. Don't worry about your audio quality or format settings. We'll automatically convert the file for you every time. We've spent hours and hours tuning our audio conversion process to maximize listenability and audio quality. Every sermon you upload is optimized to be as high a quality as possible for your listeners. You don't need to worry one bit about normalization, compression, expansion, or attack curves. We have it covered for you. We provide iTunes-Ready RSS feeds for every sermon you preach. We even provide individual feeds for each service, series, and speaker, so your listeners can find exactly the feed they want. 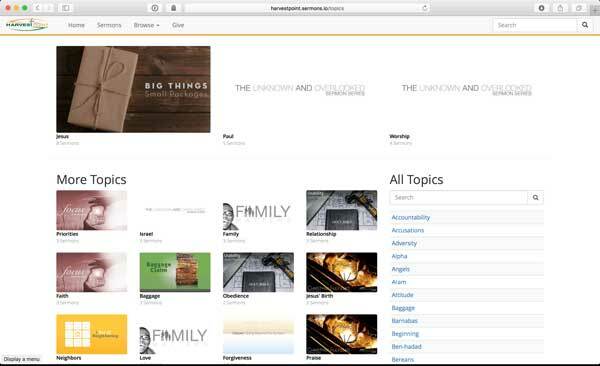 Everything you upload to Sermons.io becomes searchable. Our search engine will even scan your sermon notes (pdf, docx uploads included!) so that your listeners can find the sermon they're looking for. Every series, service, and speaker you create can have its own featured page. Direct your listeners right to the destination they're looking for, and even include a speaker photo and bio at the bottom of every sermon they preach. And, of course, all of this information is searchable, browseable, and shows up in your podcast feeds. Your listeners can share any sermon to any of the major Social Networks with one-click ease. 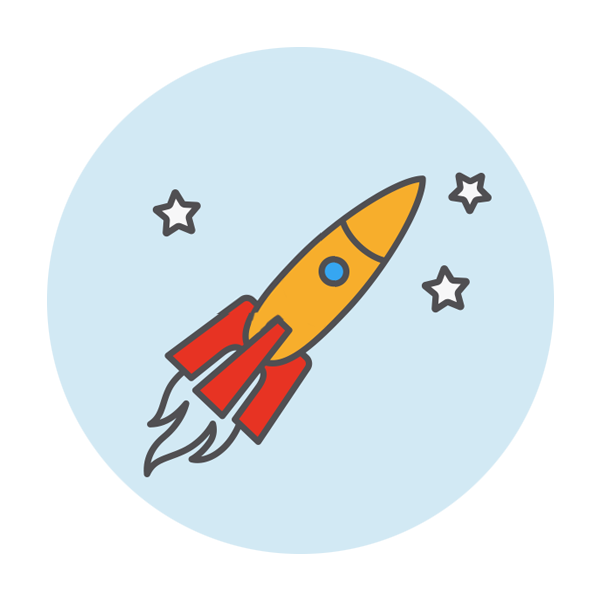 We support Twitter and OpenGraph meta tags to include all relvant artwork and metadata when your users share your sermons, and it all happens automatically for you. Tracking your views, listens, downloads, and watches across the globe. We report to you how many people are listening to your sermons, where they're listening to them from, and how that data is changing. We even provide a year-end analytics report so you can see the spread of your sermons year over year. Our web design team has optimized your Sermons.io site to work flawlessly on smart phones. All of our features are as available on mobile as they are on the desktop. There are no second-class citizens on Sermons.io. Hosting a conference? Having a panel discussion? Every sermon can have multiple speakers associated with it for maximum metadata expressibility. If you're looking for just the right sermon, our advanced search functionality will help you find it. 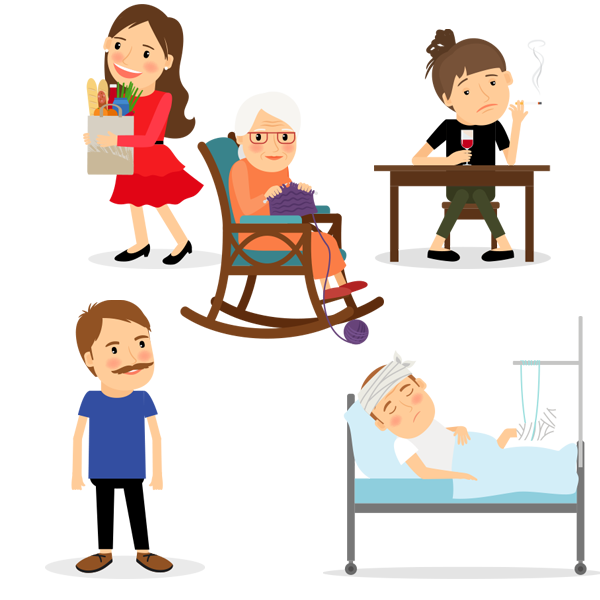 You can filter on any facet or combination of facets to find just the right thing you're looking for. And of course all of our search result links are shareable, so once you've found what you're looking for you can be assured that's where you will find it again. Re-sorting your data? Updating an old sermon library? With our Bulk Editor you can update the meta data on any combination of sermons with a single click. Some of our churches have imported over 20 years of sermons; after a short bit of work they were able to properly classify thousands of old messages that used to be in one big heap. Whether you have a large or small team working on tech, you can invite them all to be able to manage your sermon library with Sermons.io. There are no limits to the number of managers you can setup. We've teamed up with our friends at Lightstock to offer some of their amazing photos to our users free of charge. If you need a graphic for an upcoming (or past) series or just one for a special topical message, you can find it in our template library. If series, services, scripture, and speakers aren't enough you can add any arbitrary tag to your sermon as well. Those tags are searchable and browsable, providing yet another way for your listeners to find what they're looking for with ease. Do you have a sermon handout each week? Use a powerpoint slide deck with notes? Or maybe you just like to share your raw notes with your congregation. 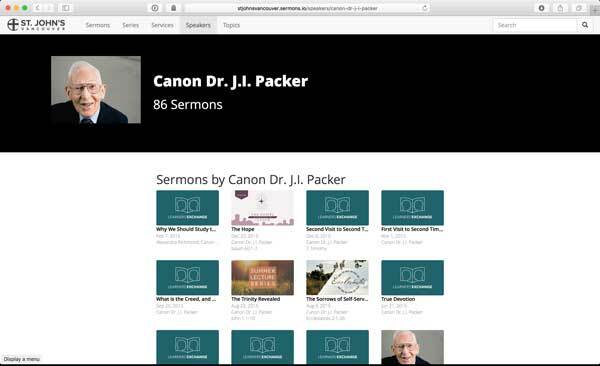 In any case, you can upload any file to be shared alongside the sermon on your Sermons.io site. If the file is a pdf or docx or pptx we'll even make it searchable. Our customers span the globe. Take a look at some of their sites, then try it out for yourself! Over 25 years of sermons, Sunday School, and discipleship classes are available online. Staying Faithful to Christ in Vancouver, Canada. Faithfully bringing God's word to Texas. Serving God's people in New Zealand every week, even in Mandarin.